Sustainable Church is a thorough, Bible-based exposition of how the ministry of every church should be organically built around all of the Spirit-gifted followers of Jesus within that local body. 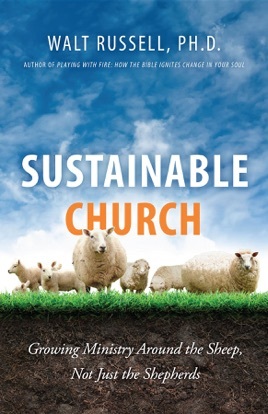 It critiques the shallow pragmatism and unsustainability of non-organic churches and biblically showcases the sustainability of the organic church. “Body Discipleship” is a key part of the church’s sustainability and the author explains biblically how it corrects the model of discipleship that has been popular for the last 2-3 generations. Additionally, Sustainable Church showcases the servant-model of biblical leaders who are supposed to equip the saints to do the work of ministry on behalf of Jesus, the true Pastor/Shepherd of every local church!